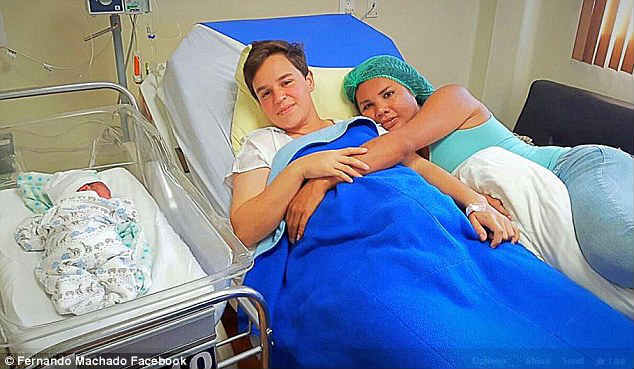 And now, four months after giving birth to their first child, Fernando Machado - who was born a woman - and his partner Diane Rodriguez - who was born a man - have revealed they want to expand their brood. They have not yet announced the name of the newborn baby - but the 16-week-old is affectionately referred to as Caraote - which means 'the snail'. 'We are the same as other families. 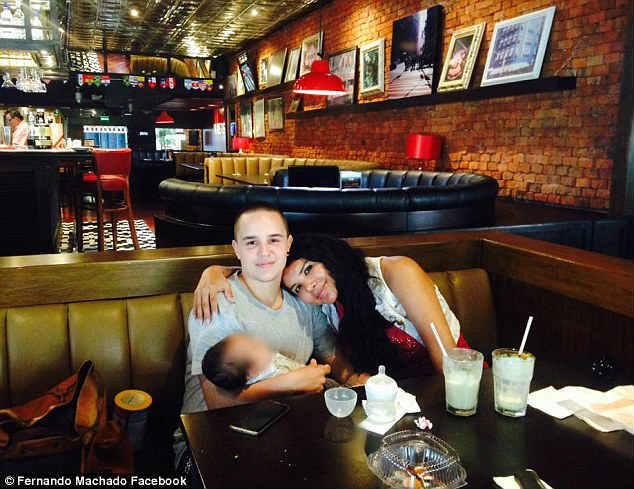 Even though we might not have the same rights, we're the same,' Mr Machado, who gave birth in June, told the BBC. Ms Rodriguez, who was born male - as Luis - spoke about how she never thought she would know the joy of being a parent. 'Being a mother was never something I thought I would do because I am a transsexual,' she said. She has previously spoken of how she struggled in the wake of coming out to her family, who shunned her and forced her to live on the streets. Ms Rodriguez has even been abducted several times. The couple have kept their fans updated with the pregnancy journey and even shared pictures from the maternity ward when Mr Machado gave birth in June. 'Guess where we are and that is what we are doing,' Mr Machado captioned one shot of the couple posed in surgery robes and hair nets at the hospital. He has also bravely shared pictures of his caesarean scar in an attempt to dispel any prejudice or misconceptions. 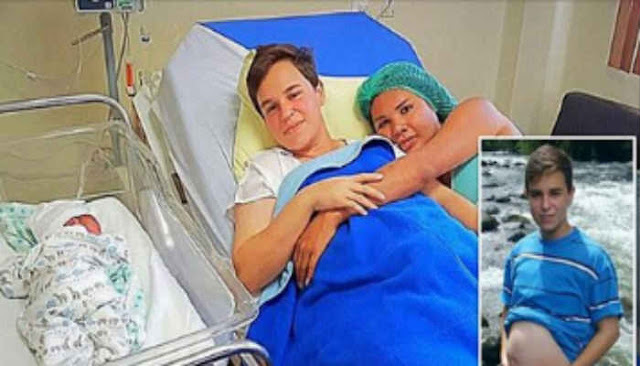 They initially announced the news of their pregnancy online, having conceived naturally as either of them have undergone lower-body surgery. 'We live as man and woman. I'm a transfeminine woman and Fernando is a transmasculine man. The process to get here was complex for each of us. 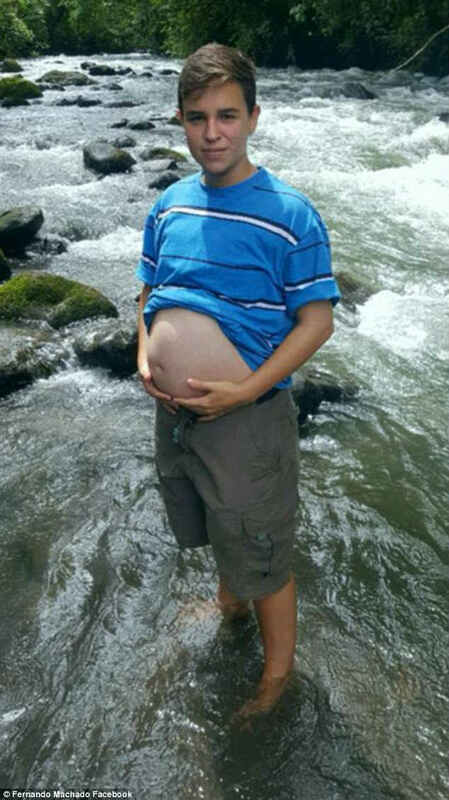 Mr Machado has also spoken about the moment he found out he was pregnant. 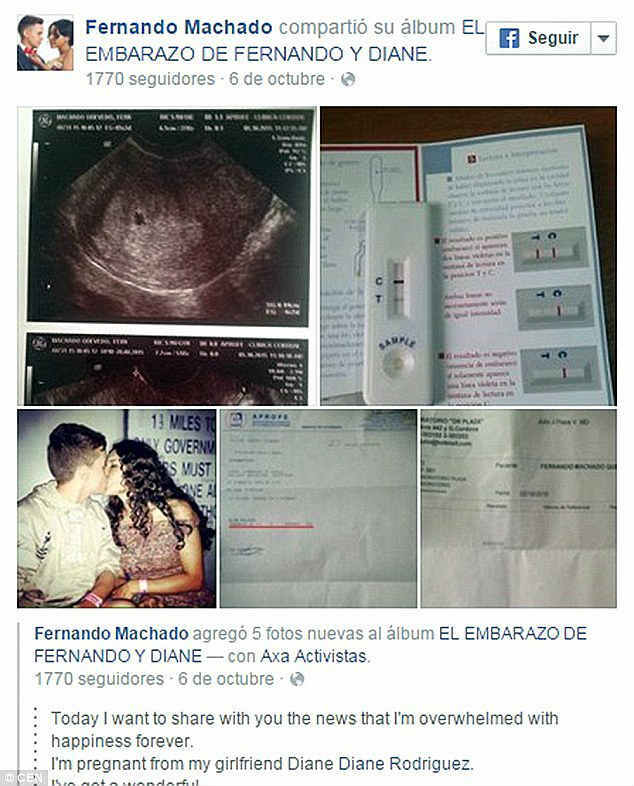 He called his mother and sent her a picture of the pregnant test. She then showed it to a doctor who announced: 'It's positive'. 'I started crying with happiness, fear and dread, all at once. It was the most beautiful moment,' he said.